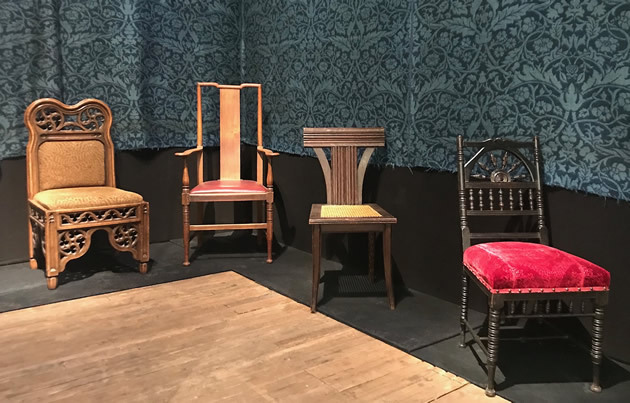 During the day on Tuesday, the team made light work of turning tool boxes, lighting tracks and crates containing furniture and works of art into an elegantly decorated black box. One day, perhaps, I’ll arrive on a stand believing that the carefully chosen exhibits will all fit as planned! 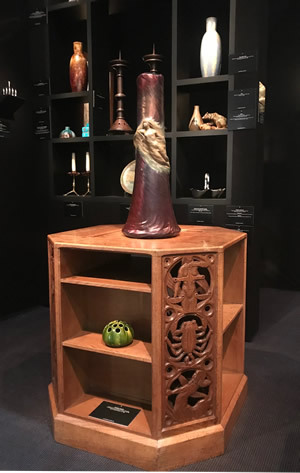 Our stand this year is built around a group of documented work from the English Arts & Crafts Movement, much of which comes directly from descendants of the original patrons, and is appearing on the market for the first time. 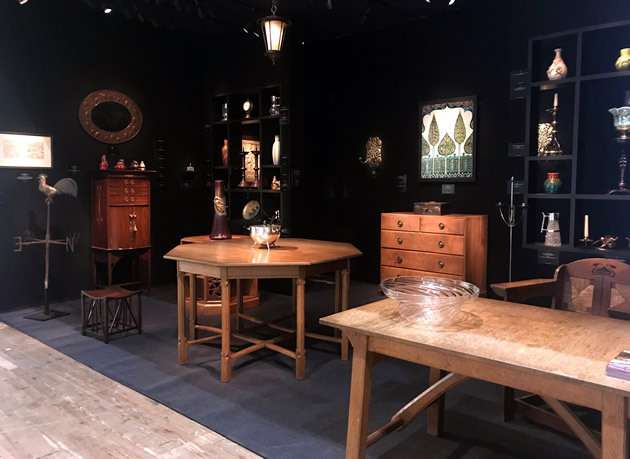 Designers, include Ernest Gimson (1864-1919) – represented by furniture and metalwork – his workshop manager and successor Peter Waals (1870-1937), Alfred Bucknell (1878-1955) and Eric Sharpe (1888-1966). A final highlight is a rare tile panel designed by William De Morgan (1839-1917) for the P&O liner Arabia, one from a group sold at Sotheby’s Belgravia, 31 March 1977. We are also privileged to be offering a small number pieces from Crab Tree Farm that are not considered core to the collection.